Leading specialists in the field of addictions, provide a broad, in-depth and most importantly easy-to-read exploration and understanding of: (1) psychological theories that underpin addictions and (2) the many treatments available for addictions. Explanations are supported by evidence-based practice and research that reinforces their applicability. The use of diagrams and case studies throughout the book offer a great way to illustrate hard-to-understand concepts, and examples of therapeutic situations. At the end of each chapter, a list of relevant references is provided that allows you to easily access further reading. 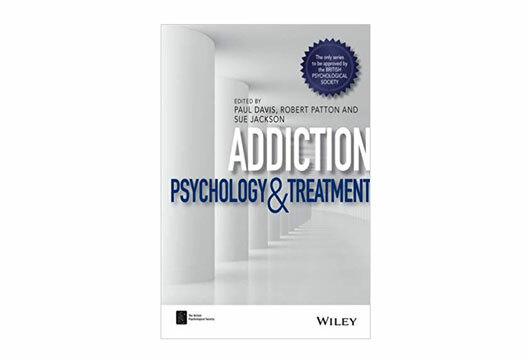 Instead of ‘just’ a cliché CBT focus, the first section of this book goes further and offers a deeper exploration of different addiction theories, such as attachment theory, systemic therapy and ‘contextual CBTs’. The book suggests the therapeutic alliance as a new attachment that influences the treatment process, emphasising the vital role of the keyworker; whereas the chapter on systemic therapy discusses the impact of addiction on carers or associated family members. The second part of the book provides an informative overview of the applications of these psychological models and approaches to a selection of addiction areas and age groups, such as PTSD, identity and older adults. Rather than focusing only on substance addiction, the book also explores behavioural addictions such as gambling. As a textbook, this is brilliant for trainee psychologists! Working in the field of addictions or not, it provides such an informative read that helps you understand addictions better and more importantly how to treat!